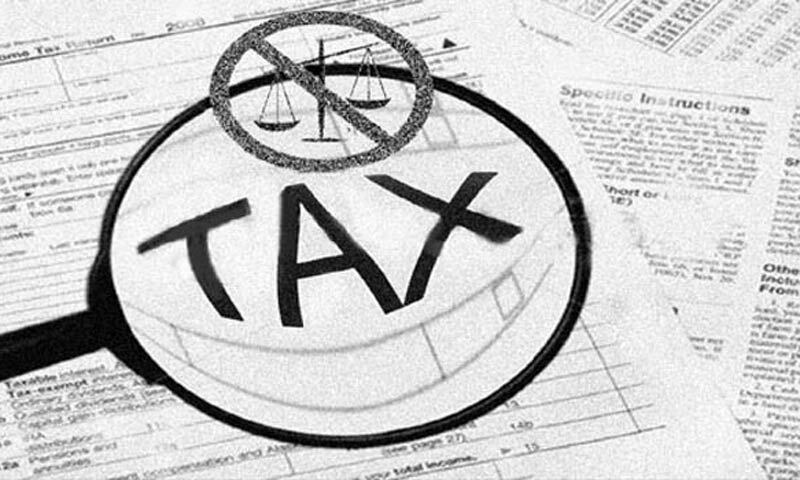 ISLAMABAD: Less than 2,000 notices were issued in October 2013 for broadening of tax base across Pakistan, reflecting the process has been slowed down owing to unknown reasons, a senior tax official said on Tuesday. The Federal Board of Revenue (FBR) has set a target of 10,000 notices per month to be issued to potential people for brining them into the tax net. In a hurriedly called press briefing on Tuesday, Chief of Broadening of Tax Base (BTB) Dr Mohammad Iqbal admitted that the process of issuing notices has been slowed down, but not halted completely. Dr. Iqbal could not explain the reasons for the slowdown except that FBR wanted to clear the backlog first. He also ruled out the pressure from politicians or traders for halting the process. �This is an on going process. We have not stopped�, he claimed. The briefing was meant to justify the lowest level compliance as a result of the tax broadening drive of the present government in the last three months. Last week, FBR official spokesperson and member FATA, Ms. Riffat Shaheen Qazi disclosed to media that only 11,000 notices were received by the people, while the rest around 20,000 got returned to FBR undelivered for various reasons in the first three months of the current fiscal year. This disclosure about the poor performance of the tax drive did not go well with the top management of the FBR including Chairman Tariq Bajwa, who on Tuesday removed Ms. Riffat Shaheen from the post of official spokesperson apparently to penalize her for the disclosure to media. Interestingly, Ms. Riffat was present in the media briefing on Tuesday but she was not allowed to speak, showing the seriousness of the FBR chairman on top tax officials. Mr Bajwa belonged to Pakistan Administrative Services, formerly known as DMG and was imposed on the tax department. Commissioner BTB Dr Muhammad Iqbal said that 500 people have filed income tax returns as against the issuance of 32,000 notices to them in the last three months, making it around one percent compliance. Dr. Iqbal said that this compliance is satisfactory because assessment of non-filers will be started in the month of November. However, he did not disclose the exact numbers for the assessment. Initially it was claimed that notices will be issued only to those people about whom FBR has sufficient evidence for bringing them into the tax net. But the results show that the drive was only a face saving and an attempt to comply with one of the conditionality of the International Monetary Fund. He said that the average tax paid by every return filer is around Rs20, 000. This clearly shows that the tax drive only focuses on low income people. But Dr Iqbal said that tax officials are making micro-films of the real estate transactions in Lahore and Karachi. �We will issue notices to potential people on the basis of these transactions�, he remarked.